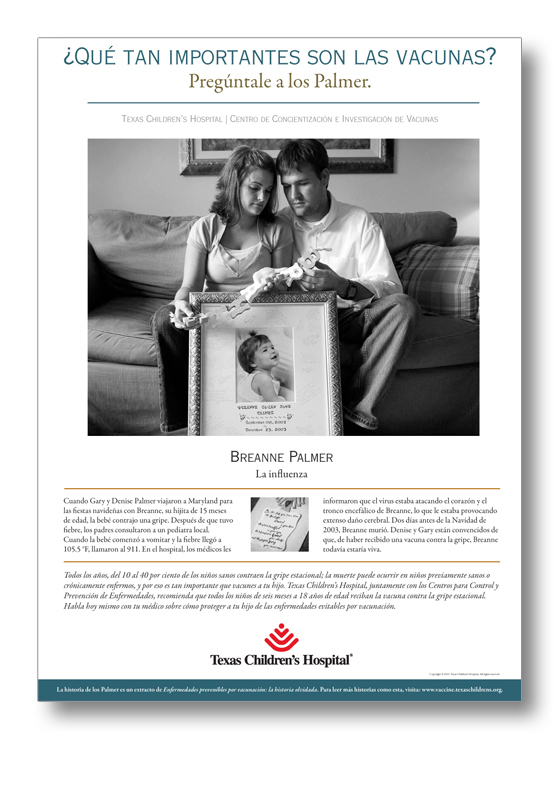 gift donation to The Center for Vaccine Awareness and Research at Texas Children's Hospital. Every gift made helps us to continue to make great strides in the fight against vaccine-preventable diseases. 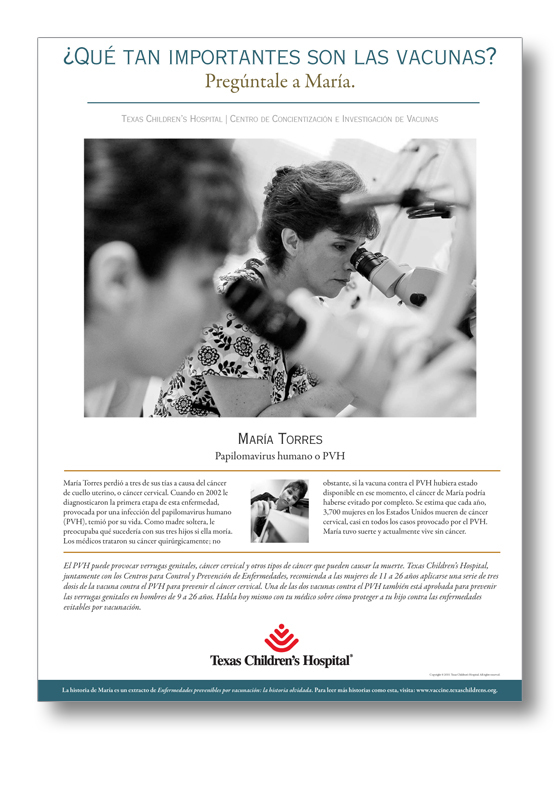 Materials sold by The Center for Vaccine Awareness and Research at Texas Children's Hospital are copyrighted and protected by various intellectual property laws. Printing or reproducing copyright-protected materials or content, whether the reproductions are sold or furnished free for use is strictly prohibited. With each purchase, you receive a single, non-transferable, non-assignable license for the use of the purchased material. The material is not to be re-sold at any time without prior written permission. 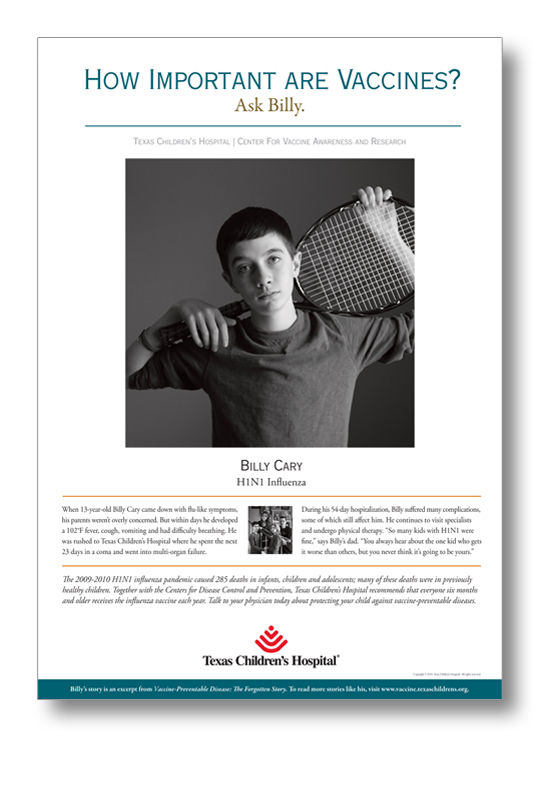 Cunningham at 832-824-2010 or rmcunnin@texaschildrens.org. HPV is one of the most prevalent diseases in the U.S., causing 27,000 new cases of cancer per year. Yet vaccination rates remain stubbornly low. 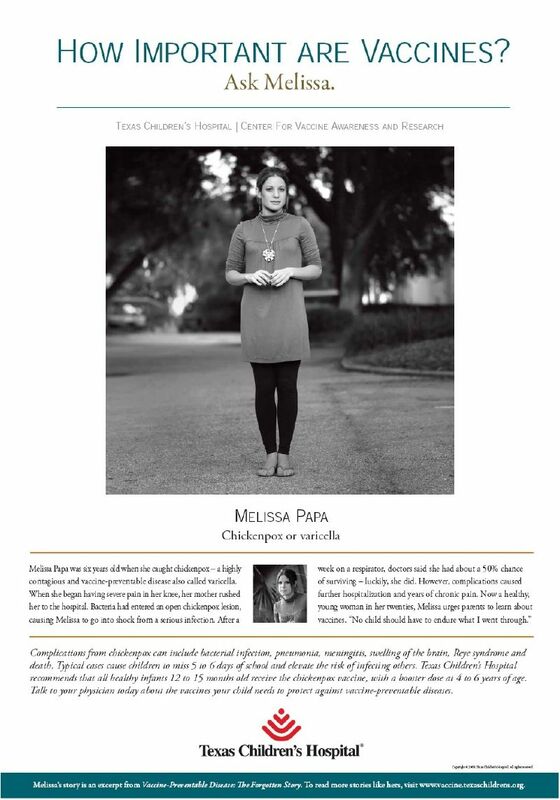 This book features the personal stories of 10 individuals who have had HPV or who lost a loved one to HPV-related cancer. It includes surprising facts about HPV and clears up myths about the vaccine. 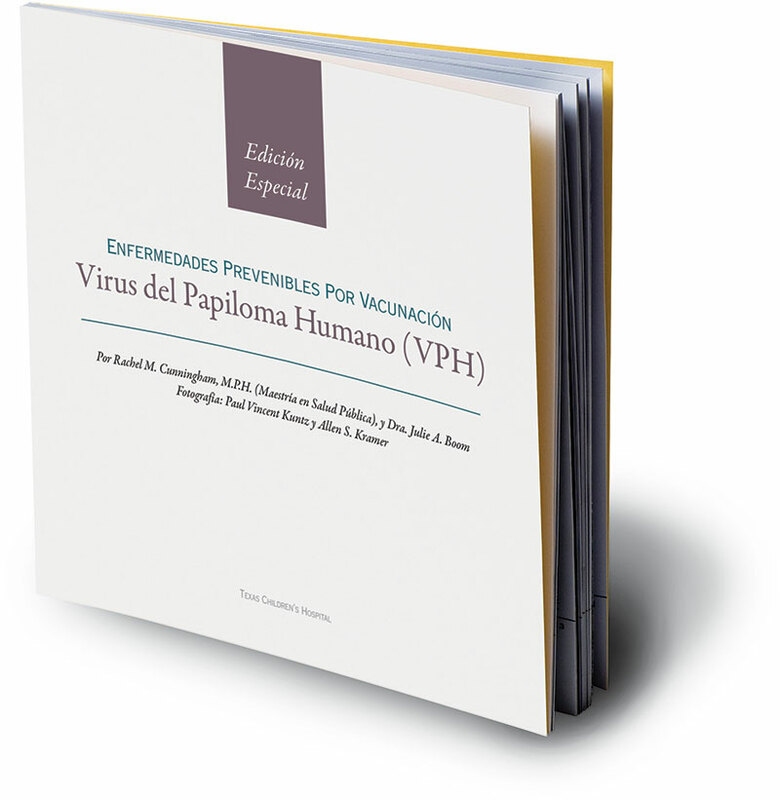 Vaccine-Preventable Disease: Human Papillomavirus (HPV) is now available in Spanish allowing us to reach even more families with the powerful message about vaccine-preventable disease. HPV is one of the most prevalent diseases in the U.S., causing 27,000 new cases of cancer per year. Yet vaccination rates remain stubbornly low. 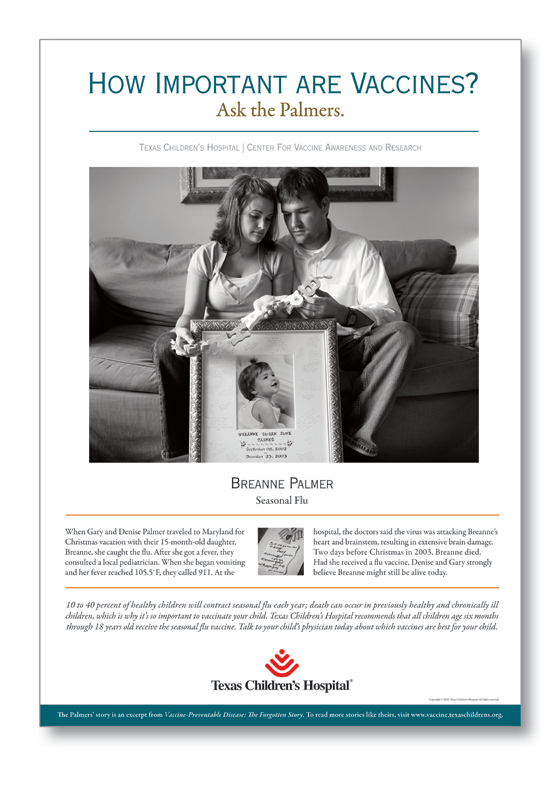 This book features the personal stories of 10 individuals who have had HPV or who lost a loved one to HPV-related cancer. It includes surprising facts about HPV and clears up myths about the vaccine. Drawing from the profiles featured in our book, these unique 14” x 20” disease-specific posters serve as a powerful tool to help educate everyone who enters your practice. 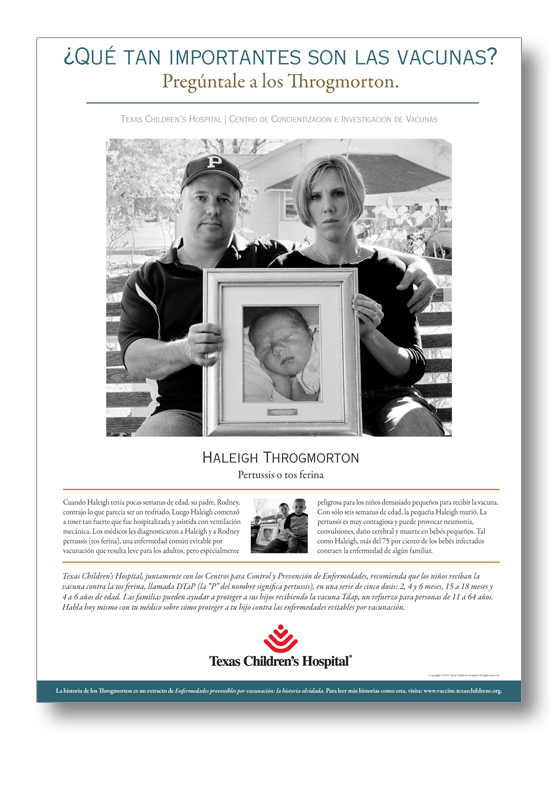 Texas Children’s Hospital proudly offers you Vaccine-Preventable Disease: The Forgotten Story Updated Edition. 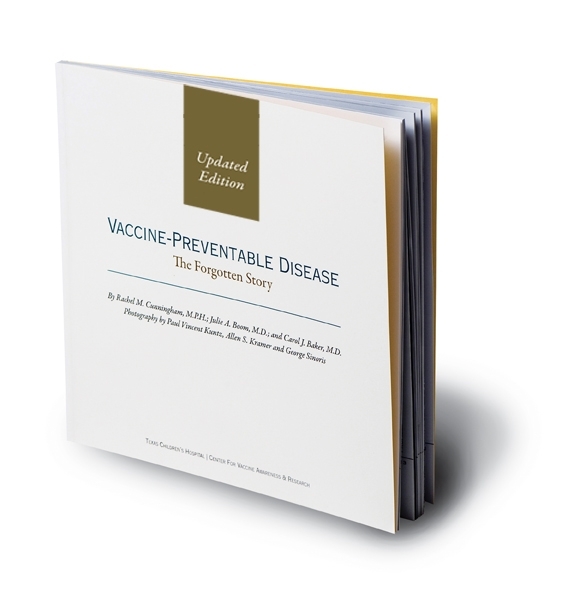 Following the same premise of the first edition, we have included 5 new stories that profile families who have dealt with the effects of vaccine-preventable diseases including H1N1 influenza and meningitis. 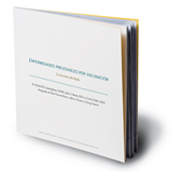 Vaccine-Preventable Disease: The Forgotten Story is now available in Spanish allowing us to reach even more families with the powerful message about vaccine-preventable disease. This abridged version features a provocative look into the devastating effects of H1N1 influenza on one young girl together with four of the unforgettable portraits from our original book. 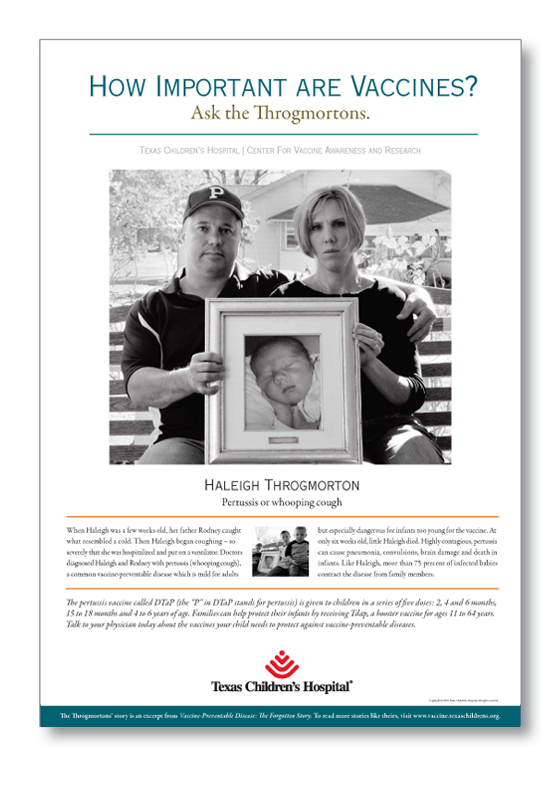 Drawing from the profiles featured in our book, this unique 5” x 10.5” disease-specific tearpad serves as a powerful tool to help educate everyone who enters your practice. There are 100 sheets per pad. 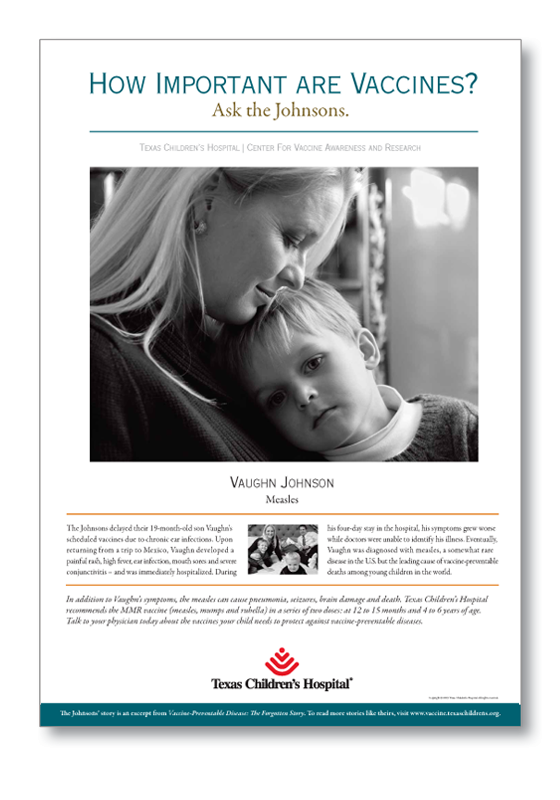 Drawing from the profiles featured in our book, this unique 5” x 10.5” disease-specific tearpad serves as a powerful tool to help educate everyone who enters your practice. There are 75 sheets per pad. 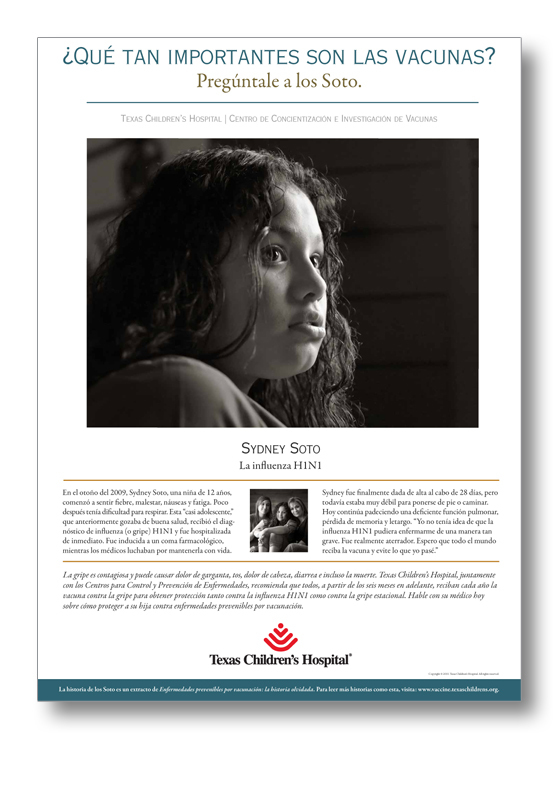 This 14” x 20” poster draws from the profiles featured in our book and will serve as a powerful tool to help educate Spanish-speaking families who enter your practice.